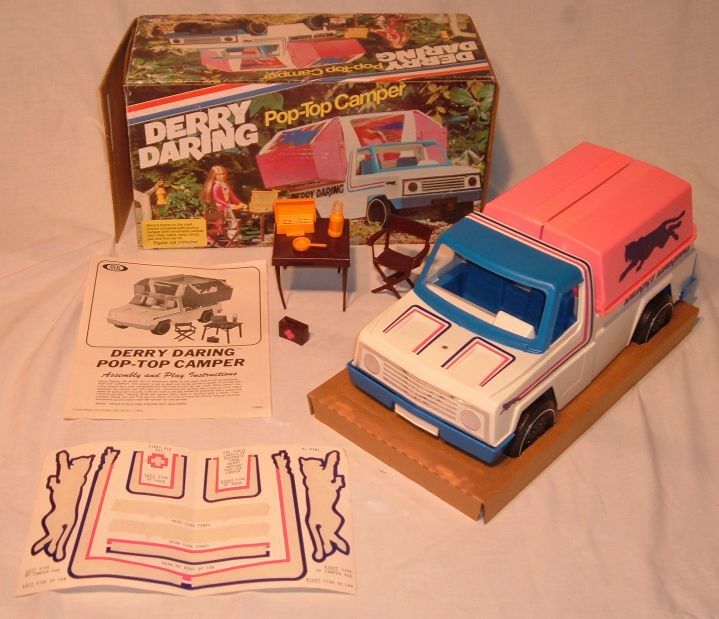 The Pop Top Camper was released in 1975. 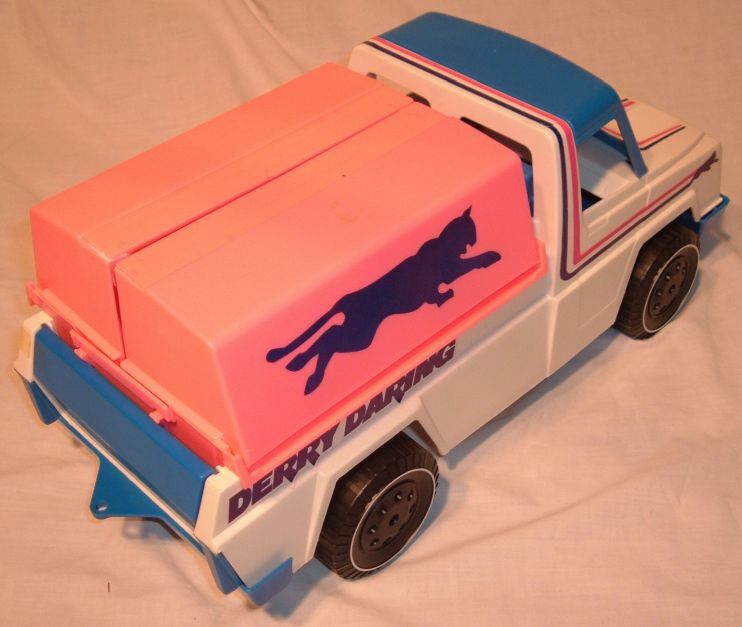 It was based on the Canyon Rig from Ideals Evel Knievel line. 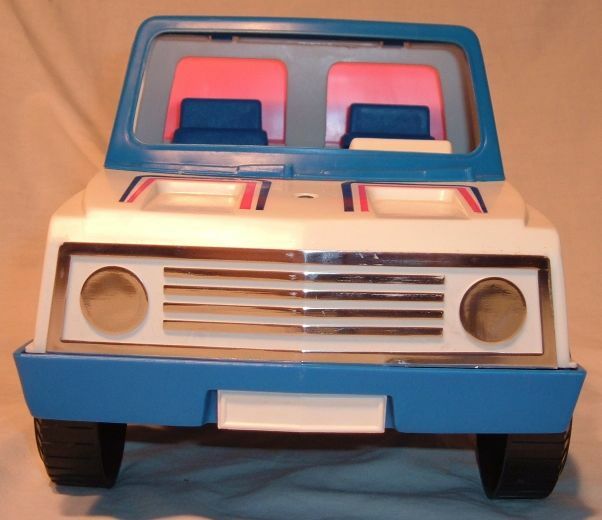 It was originally conceived as the "Baja Camper". 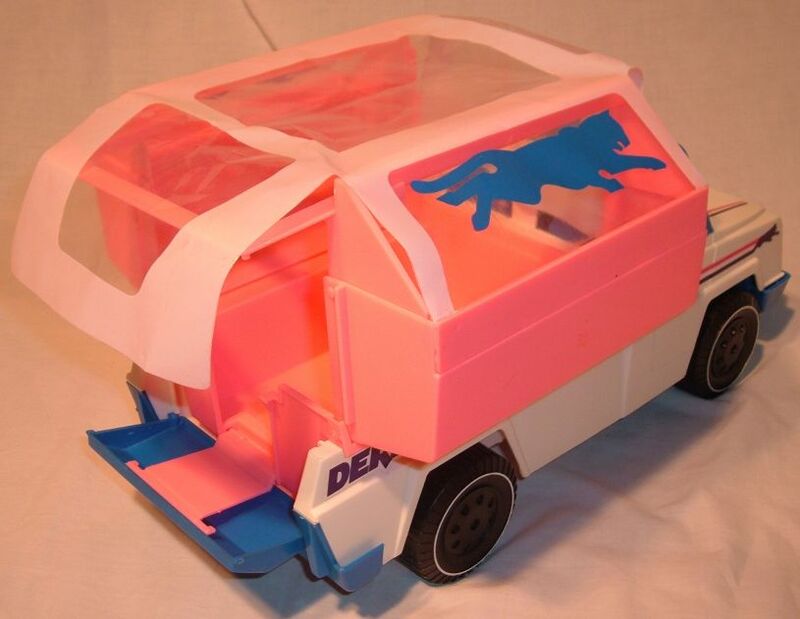 The entire truck was made of plastic. 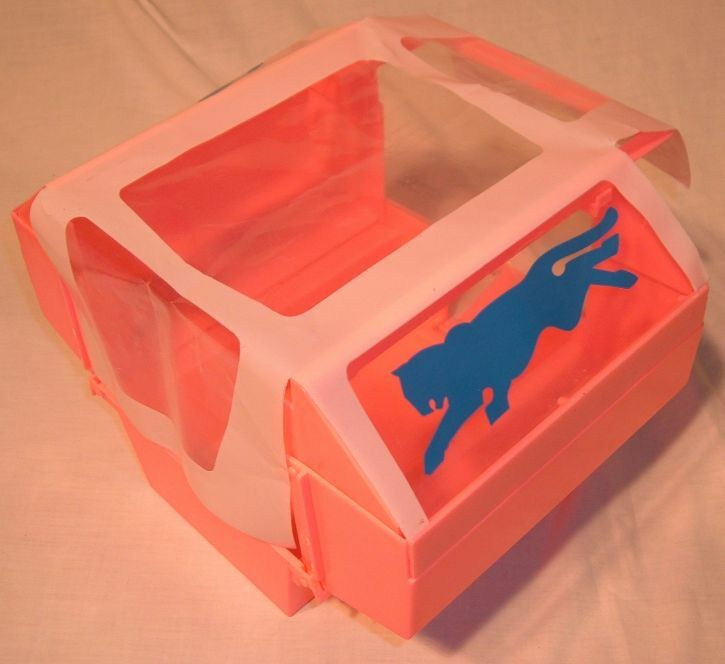 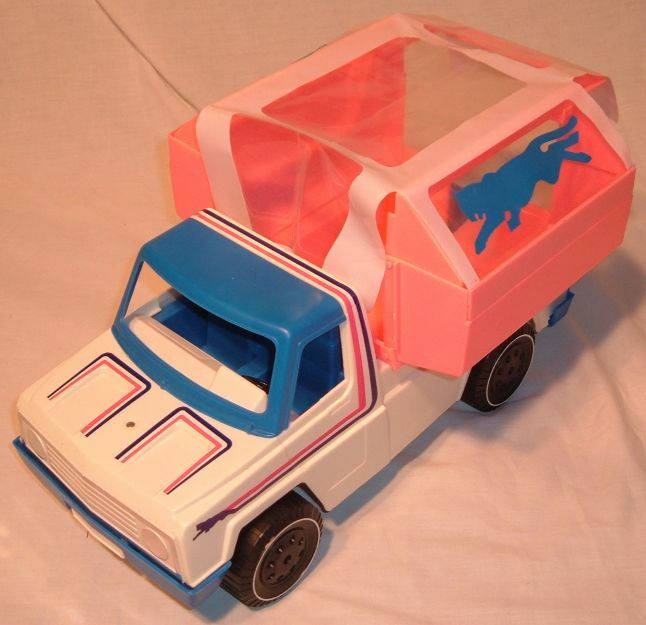 It featured a removable roof, opening tailgate and camper pod! 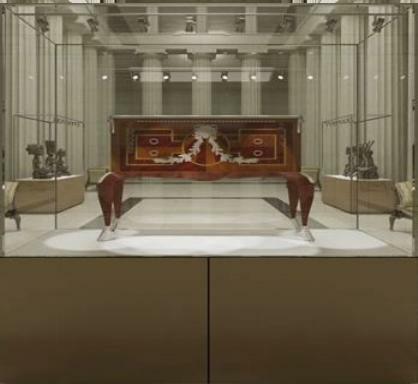 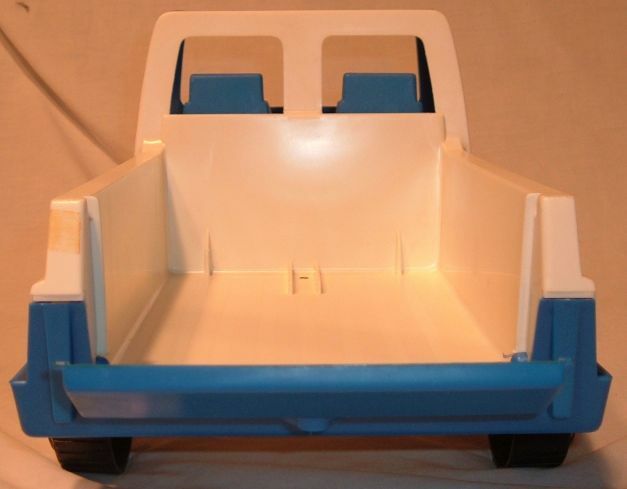 The bed featured a "wood pattern" design with a motorcycle holder for transporting the Trick Cycle. 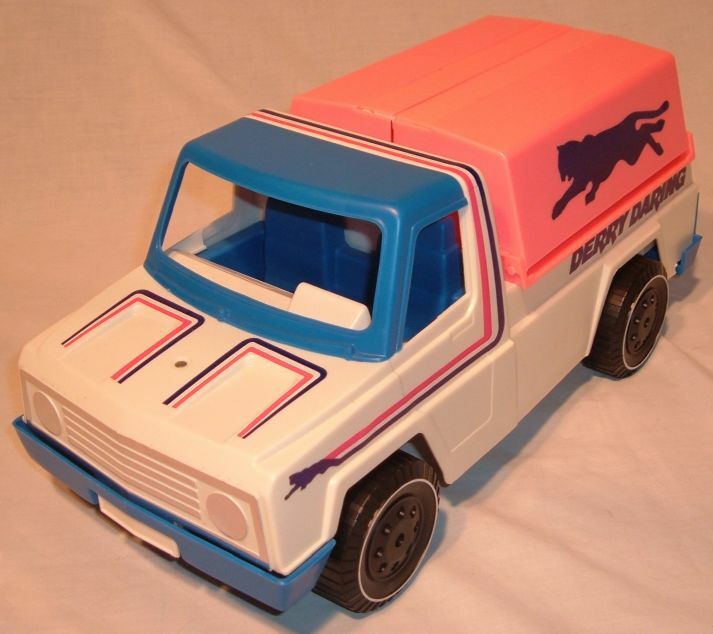 There is also a blackwall tire version. 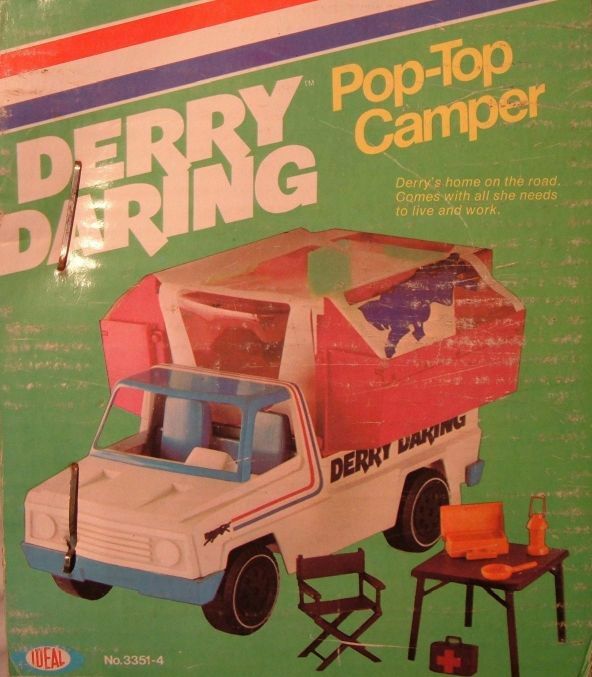 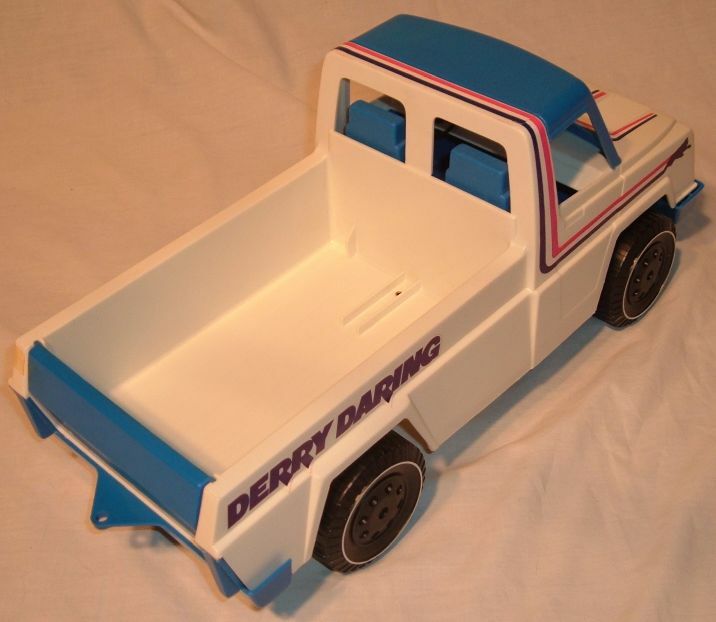 The Pop-Top Camper ended production in 1976 along with the rest of the Derry Daring line. 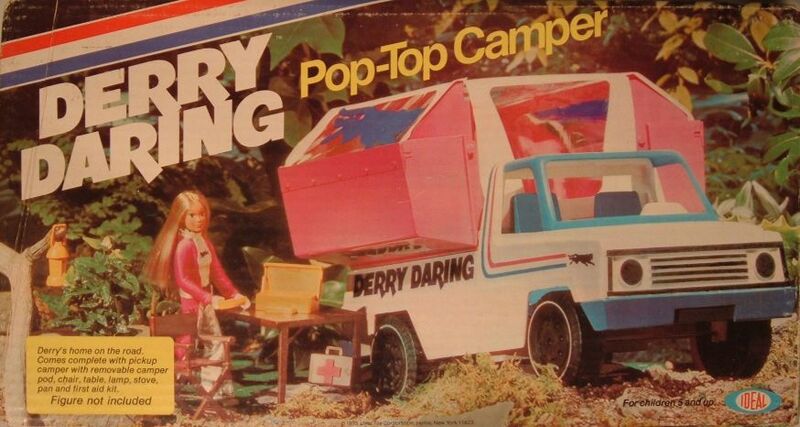 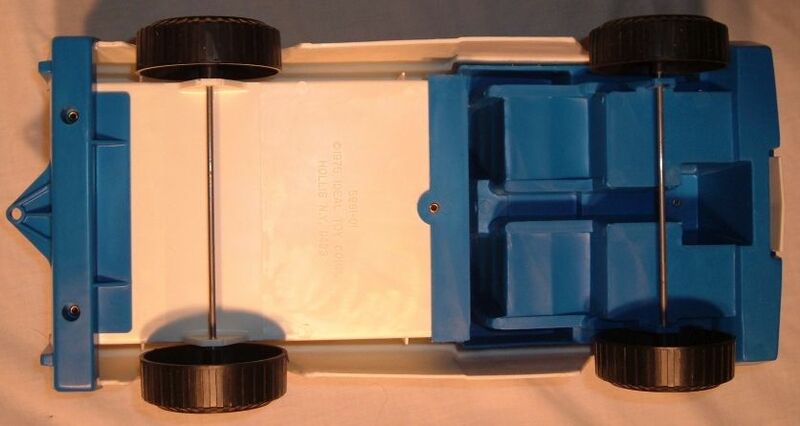 There are no foreign versions of the Pop Top Camper known to exist. 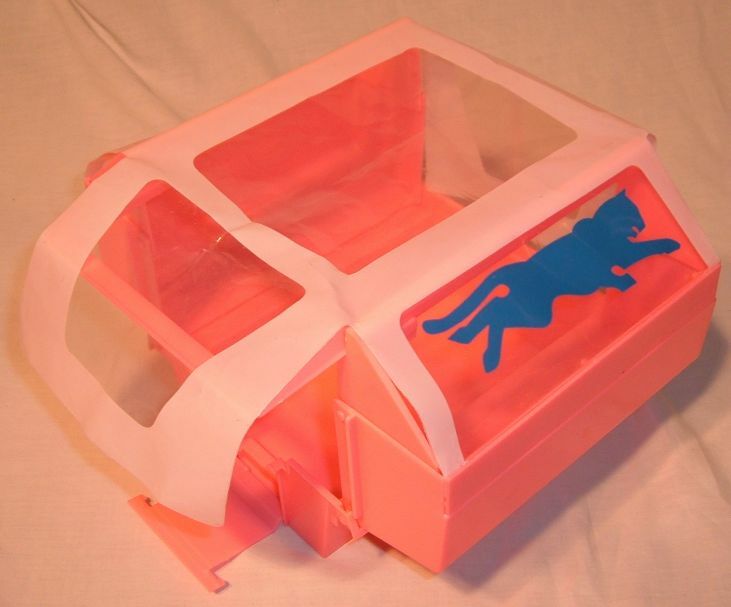 The camper pod was made entirely of plastic, with vinyl being used as the roof material. 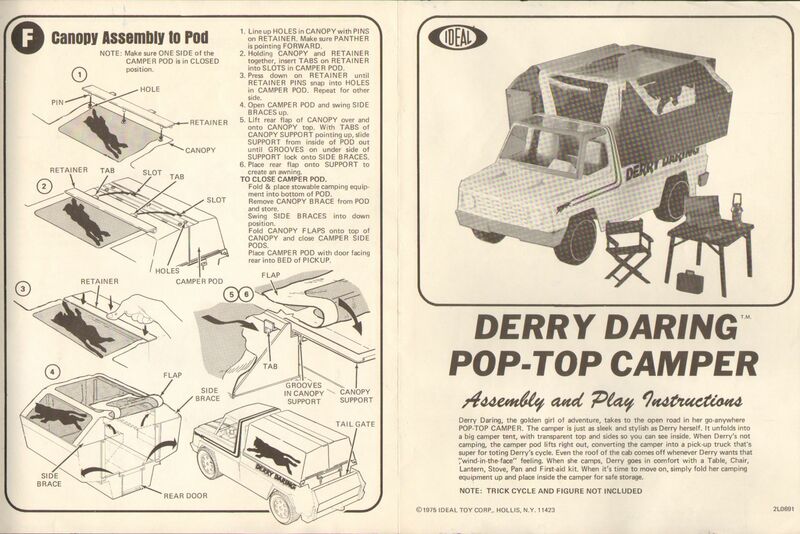 The camper pod actually consisted of 10 pieces(base, door, 2 foldout sides, 2 inner supports, canopy door support, 2 canopy hold down pieces & the canopy). 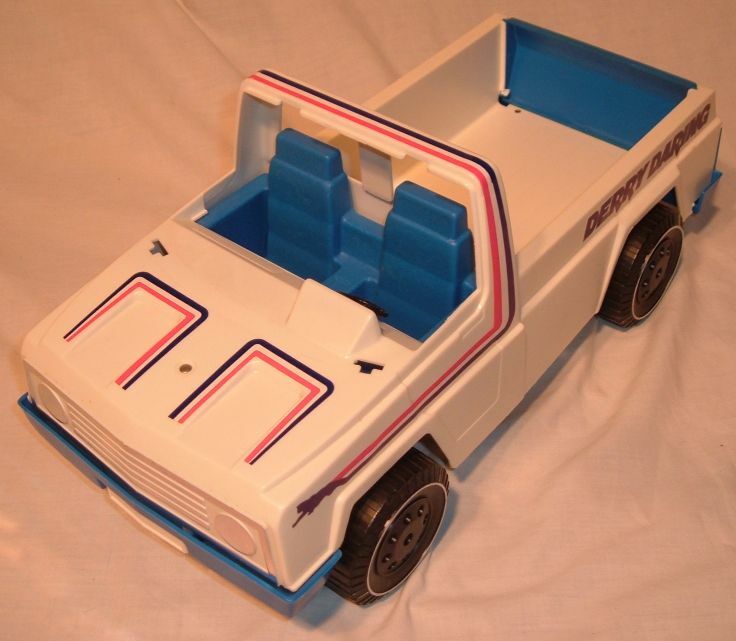 The Pop Top Camper did not share any of the accessories from the Canyon Rig . 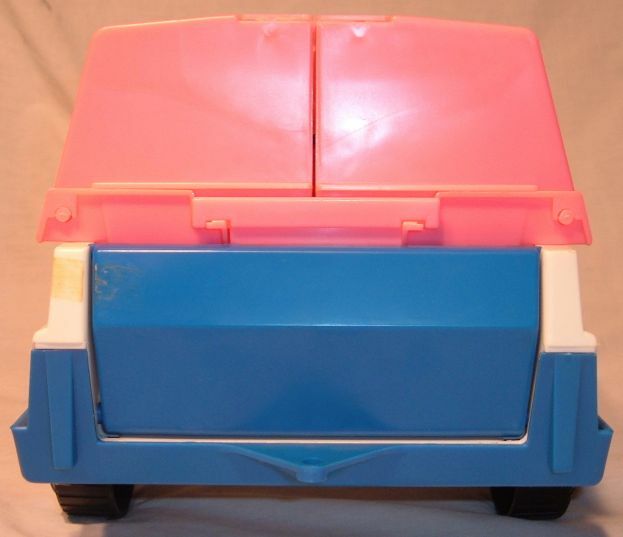 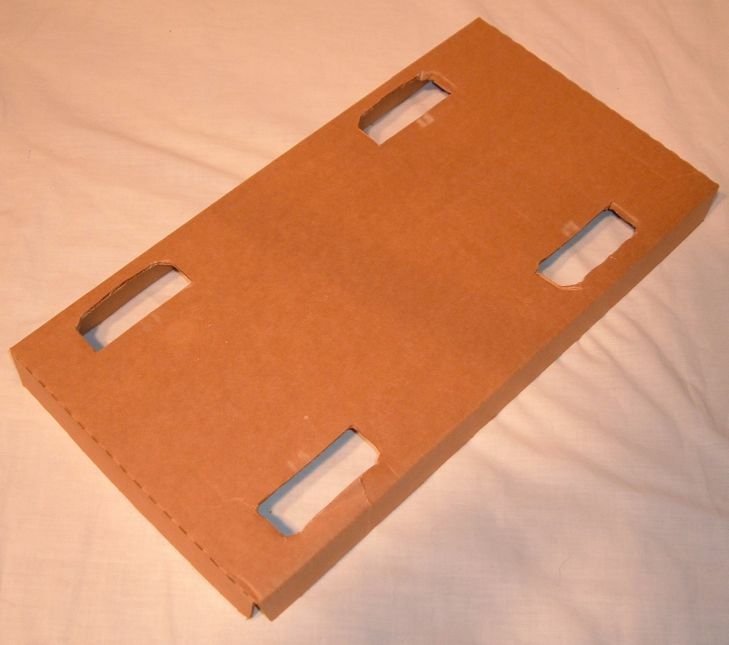 One very unique accessory was the folding table that actually had folding legs! 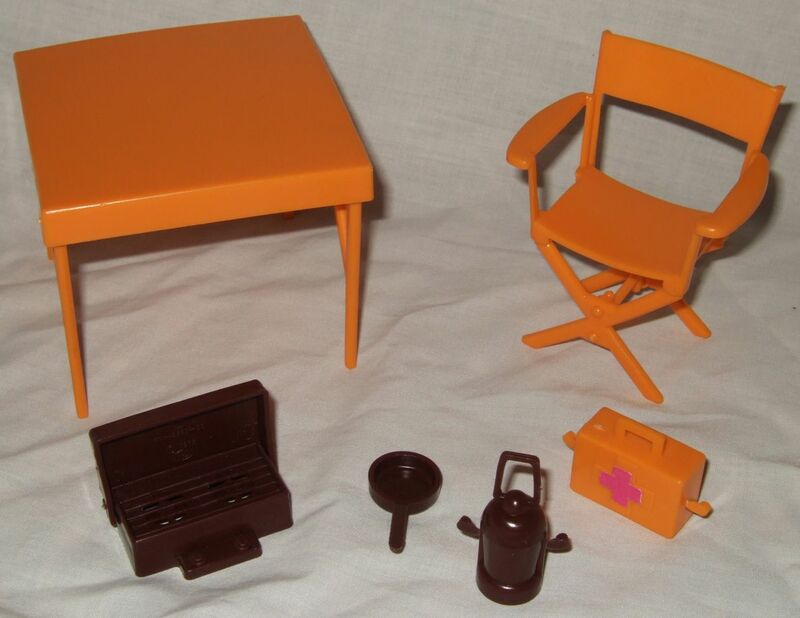 The earlier sets featured a brown table, chair, and first aid kit with the rest of the accessories being yellow. 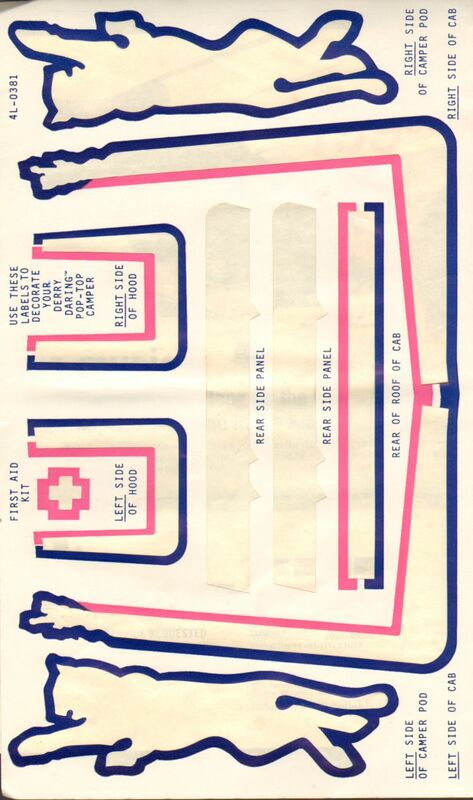 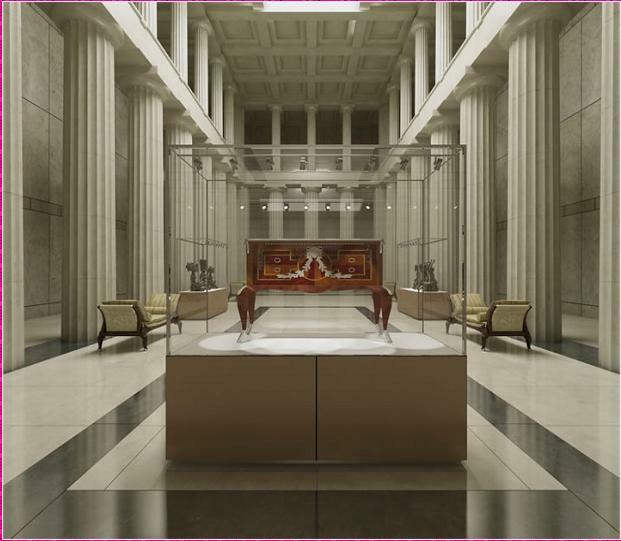 In some of the later sets, the colors are reversed. 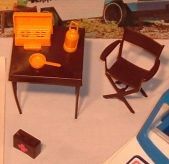 Some sets also had a white camper door. 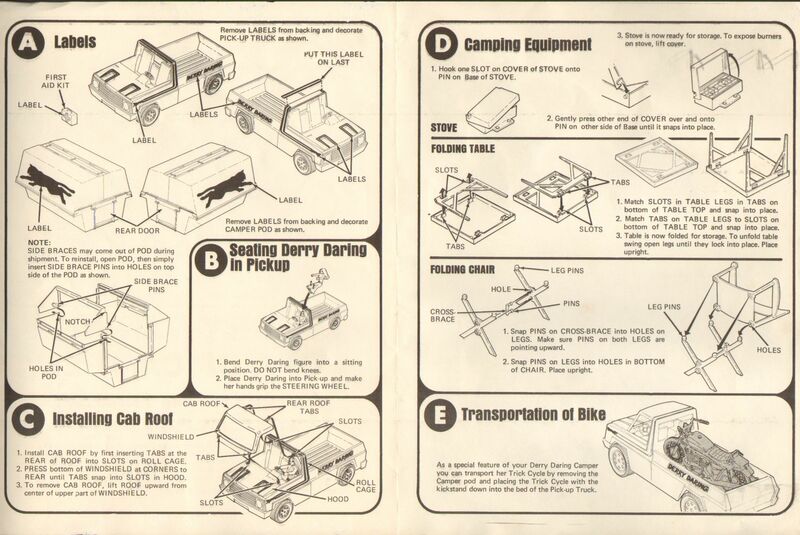 YOUR #1 SOURCE FOR EVEL KNIEVEL TOYS & INFORMATION!